Our accelerated prekindergarten program is designed for families who prefer the smaller setting and one-on-one attention that Spectrum Station provides. This program is available for kindergarten-age children whose parents wish to delay their child's kindergarten start and for children who miss the public school cut-off within a few months. Spectrum Station feels that children who have attended early learning programs for most of their lives need to continue to learn, even if they miss the age requirements outlined by the state. Our low staff to child ratio allows our kindergarten teacher to give each child the special attention he or she needs and enables students to progress through new curriculum with greater success. Our program is taught by a degreed kindergarten teacher with many years experience in this program. Spectrum Station uses the Missouri Department of Education criteria to create learning materials for the theme-based curriculum. The large classroom is set up with “Discovery Centers” similar to our preschool and prekindergarten programs. Learning materials in these areas are specifically related to the weekly developmental goals. Students work in cooperative groups while learning new material. 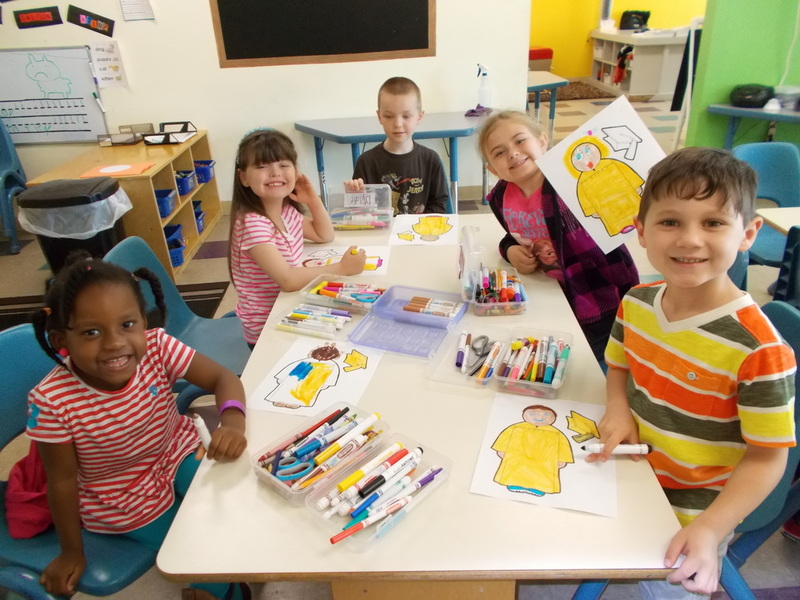 Spectrum Station’s accelerated prekindergarten program is challenging, innovative, and enjoyable for all children. In addition to our theme based curriculum "passport to learning", our kindergarten teacher implements "Animated-Literacy." Animated-Literacy™ is a comprehensive, researched based, multisensory approach to reading, writing, and oral language instruction that moves students from the earliest stages of literacy to fluency and independence in reading and writing. "Animated-Literacy" is used in many of the Kansas City metro-area school districts.